The Orthopedic Institute of North Texas (OINT) is a full-service orthopedic surgery practice located in Frisco, Texas. We provide a full-service line for your orthopedic needs. Our aim is to get you back on your feet and keep you moving. At The Orthopedic Institute of North Texas (OINT) we are dedicated to provide friendly patient-centered service ensuring your experience is second to none, please see the services we offer at OINT. 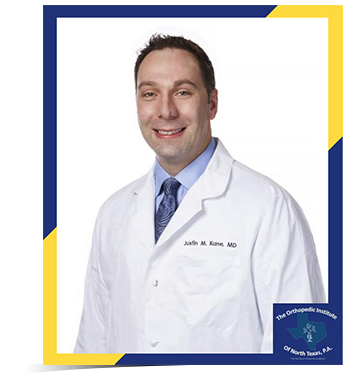 Dr. Kane specializes in foot and ankle problems ranging from bunions and hammertoes to complex reconstructive procedures and limb salvage surgeries. He sees patients from all over the world at the location in Frisco, Texas.